Notes titled ‘A Tyrannical and Tiresome Tirade on Tiree by a Tired Retiree’ on the Medieval history and archaeology of Tiree by David Caldwell, casting doubt on the popular view that Tiree (along with Mull and Islay) was ruled by Somerled and his descendents to the exclusion of the dynasty of kings. David Caldwell, retired Keeper of Medieval Department at the National Museum of Scotland, gave a talk on the subject during a visit to Tiree in April 2016. Handmade clay pot or `craggan` found in Caoles by Angus MacLean, Scarininish, while ploughing. 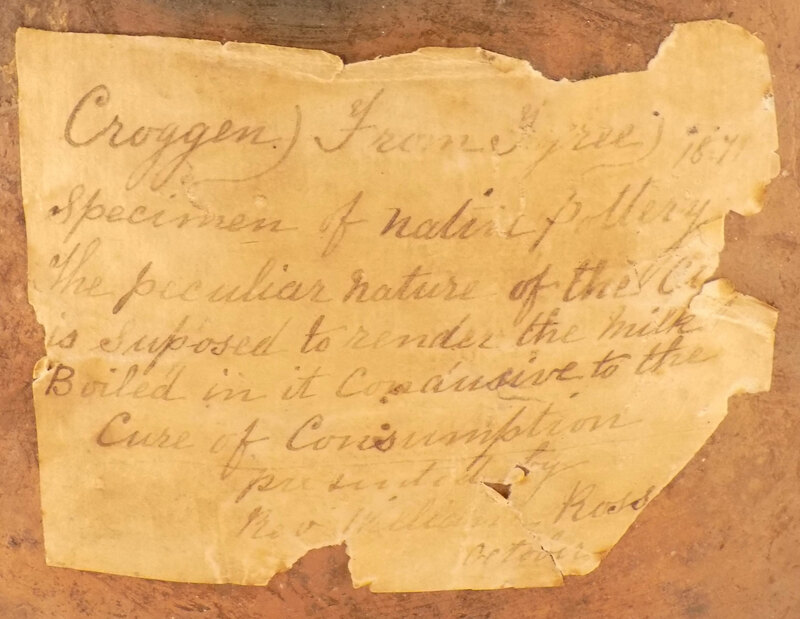 Printed footnote from a lecture in 1880 `The Past and Present` about Tiree craggans. Photograph and correspondence dated August 1998 regarding a Tiree craggan held in Bute Museum. Photograph and correspondence dated August 1998 regarding a Tiree craggan held in Bute Museum, which the museum may gift to An Iodhlann. The craggan is approx. 230 mm wide and 260 mm high. Black and white photograph of Hugh MacNeill of Balevullin in the early 1940s. 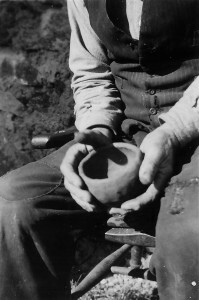 Hugh MacNeill of Balevullin demonstrates how his mother, Flora MacNeill, would make small clay pots known as craggans. Made by hand from local clay without the aid of a potter’s wheel, Tiree craggans were believed to have special curative properties, particularly in the case of consumption. 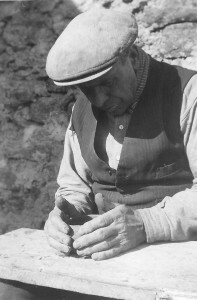 Hugh MacNeill of Balevullin demonstrates how his mother, Flora MacNeill, would make small clay pots known as craggans. Each township had its potter who was always a woman. Flora MacNeill of Balevullin, who died aged eighty in the 1920s, was the last known craggan-maker on Tiree. 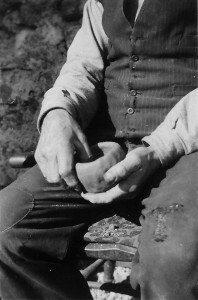 Hugh MacNeill of Balevullin demonstrates how his mother, Flora MacNeill, would make small clay pots known as craggans. 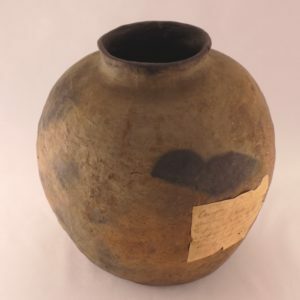 After selecting a large lump of local clay, it was carefully worked by hand into a vessel with a neck and everted rim. 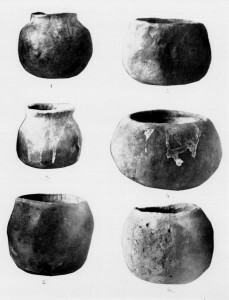 The finished pot was allowed to dry then baked in the ashes of the fire. Milk was poured into and over it while still hot to make the surface less porous. 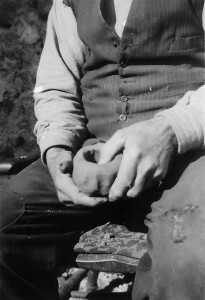 Hugh MacNeill of Balevullin demonstrates how his mother, Flora MacNeill, would make small clay pots known as craggans believed to have special curative properties, particularly in the case of consumption. The craggan was heated on the fire until very hot, removed with tongs and taken to the byre where the cow was milked directly into it. This was heated again and administered to the invalid. Photocopied extract `Tiree craggans` by G. A. Holleyman from `Antiquity`, Vol XXI, 1947, pp 205-211. Description by George Holleyman of the making and use of Tiree craggans.